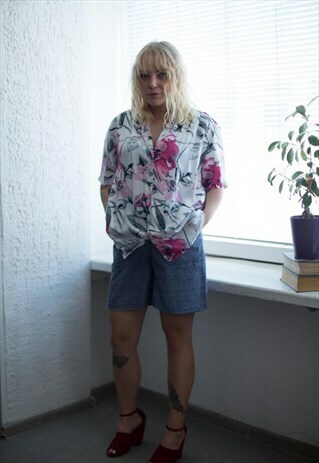 Vintage 80's white/pink flower patterned top with short sleeves and button up fastening. UK size not written but looks like 14-16. Model size in the photo - 10. Measurements: length 25 inches, sleeves 10 inches, chest 52 inches, waist 49 inches.